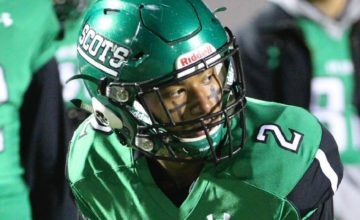 SPOKANE, Washington — Keelan Doss had a chance to be the latest prolific pass catcher to jump from the Big Sky Conference. 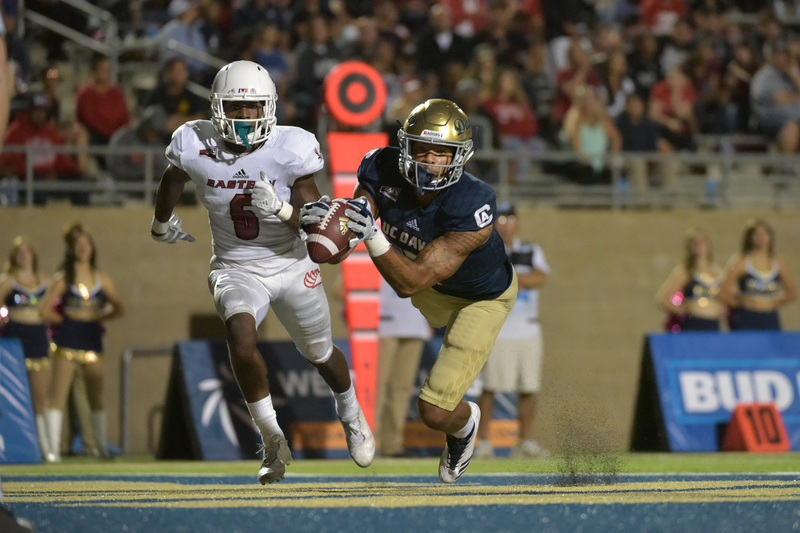 Instead, the UC Davis star senior wide receiver chose to return to wreak havoc on the league. Monday, the Big Sky announced its preseason All-Big Sky team. As expected, Doss, the 2017 Big Sky Offensive Player of the Year and the third-place finisher in the Walter Payton Award voting, earned Big Sky preseason Offensive Player of the Year honors. 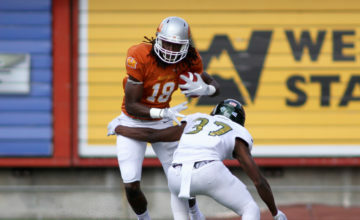 Last season, Doss led all of college football by averaging 136.3 receiving yards per game. He caught 115 passes for 1,499 yards during Davis’ 5-6 campaign. 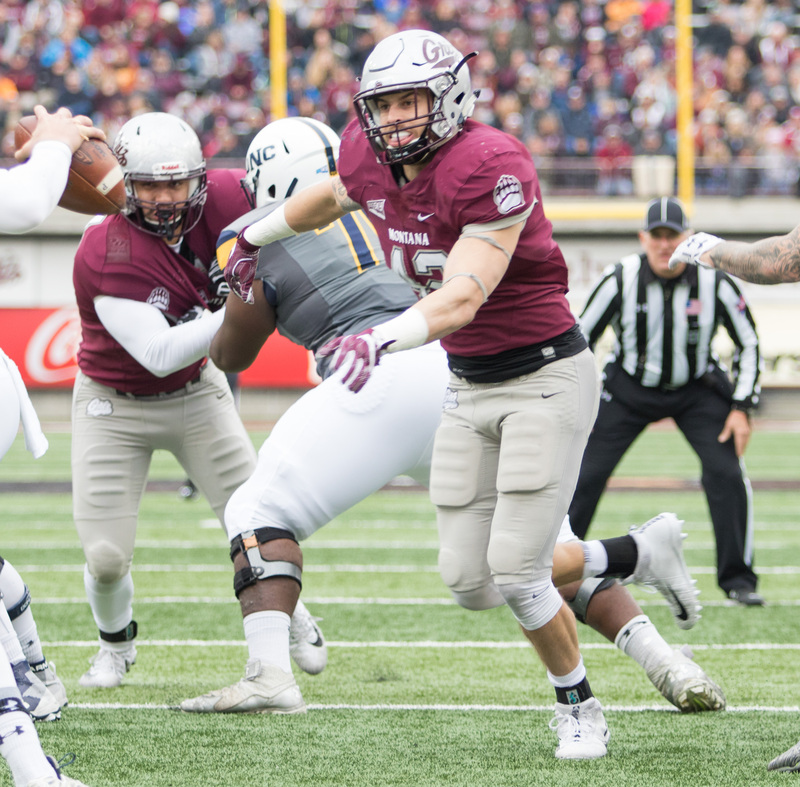 Despite missing spring football because of off-season shoulder surgery, Montana senior outside linebacker Josh Buss is the Big Sky preseason Defensive Player of the Year. The fifth-year senior from Boise, Idaho led the Griz with 94 tackles, 13.5 tackles for loss and 5.5 sacks last season. He was a second-team All-Big Sky and third-team All-American selection last season. “The thing about Josh right now is he’s had some major health problems and we don’t know the degree he is going to be available to us,” Montana head coach Bobby Hauck revealed. “We will see how that goes. Hopefully, things come around for him but he has some health problems. Weber State, the defending league co-champion along with in-state rival Southern Utah, led the way with six preseason all-league selections, including three — sophomore kicker Trey Tuttle, sophomore return specialist Rashid Shaheed and senior special teams ace Brady May — on special teams. Senior offensive tackle Iosua Opeta, senior inside linebacker LeGrand Toia and junior defensive end Jonah Williams landed on the squad. SUU placed five players on the team, including three — senior tackle Marquez Tucker, junior center Zach Larsen, junior guard P.J. Nu’usu — on the offensive line. Eastern Washington, the preseason league favorite, Northern Arizona, a 2017 playoff team and Sac State, a 7-win squad last fall, each placed three players on the squad. Idaho, who returns to the league for the first time since 1996, also put three players on the team. EWU senior Gage Gubrud got the nod in a talented quarterback field that also included All-American returnees Case Cookus of NAU and Jake Maier of UC Davis. EWU defensive tackle Jay-Tee Tiuli, a 2016 first-team All-Big Sky selection before missing last season with an injury, and senior running back Antoine Custer Jr. also earned recognition for the Eagles. 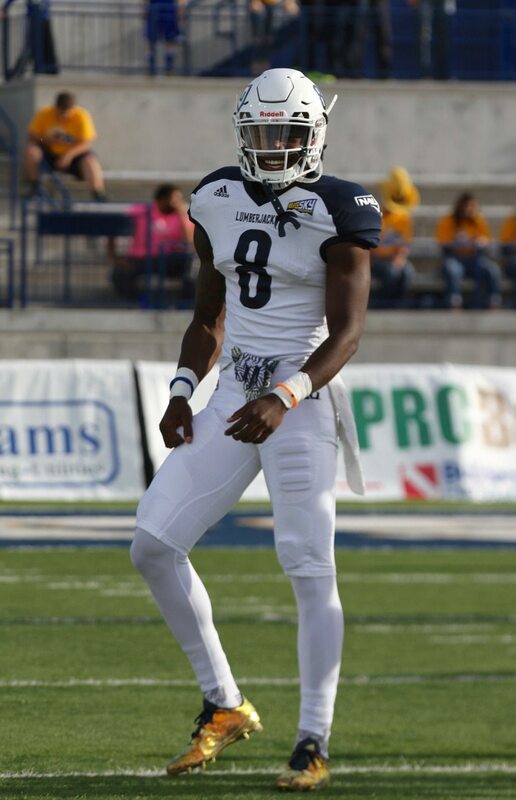 NAU landed wide receiver Emmanuel Butler, cornerback Khalil Dorsey and safety Wes Sutton on the list, while Sac State wide receiver Andre Lindsey, defensive end George Obinna and safety Mister Harriel earned recognition. Idaho guard Noah Johnson, outside linebacker Kaden Ellis and punter Cade Coffey all found spots despite Idaho being the new team in the league. 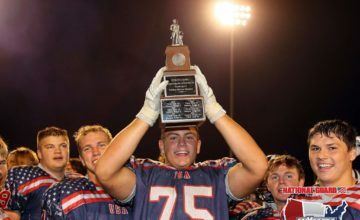 Doss was joined on the team by tight end Wesley Preece as the representatives from UC Davis. 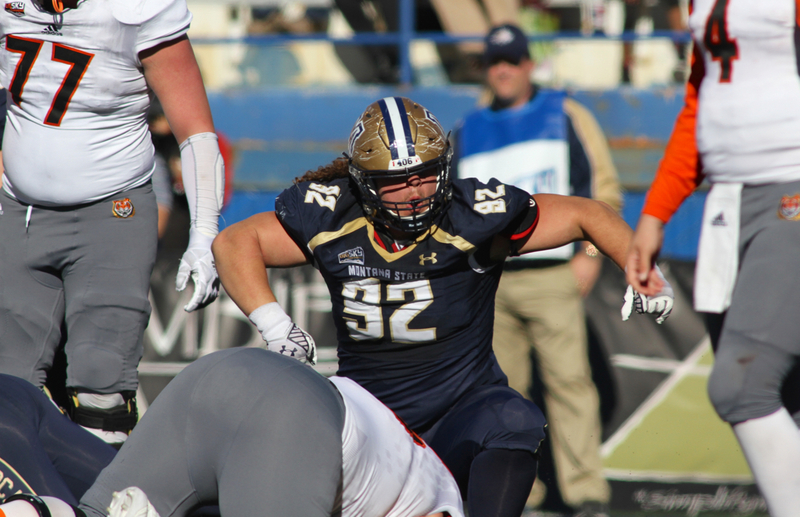 Buss was Montana’s lone representative on the team while Montana State senior defensive tackle Tucker Yates was the lone Bobcat on the squad.